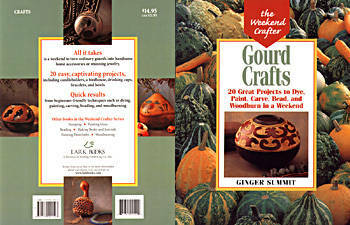 All it takes is a weekend to turn ordinary gourds into handsome home accessories or stunning jewelry. 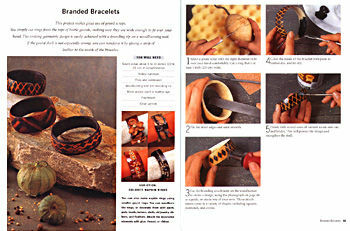 20 Easy, captivating projects, including candlebolders, a birdhouse, drinking cups, braclets and bowls. Quick results from beginner-friendly techniques such as dying, painting, carving, beading and woodburning. A clear step-by-step guide with photographs and instructions for captivating projects including candleholders, unique birdhouse, drinking cups, bowls, jewelry and more! 80 pages, 225 color photographs.